Dr. John “Jack” R. Horner (born June 15th, 1946) is an American paleontologist, renowned the world over for his innovative dinosaur research, spanning topics as diverse as hadrosaur family nurturing habits, whether Tyrannosaurus rex was a hunter or scavenger, and even the possibility of re-creating non-avian dinosaurs by modifying the genetics of the contemporary chicken. 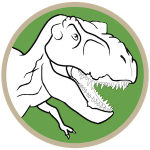 Famous for his discovery of Maiasaura and extensive studies of the so-called “Egg Mountain” in Montana, Dr. Horner is the Curator of Paleontology at the Museum of the Rockies. 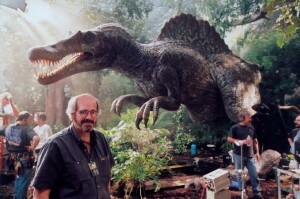 He was also a paleontological consultant for all three of the Jurassic Park films, as well as the inspiration for the character of Dr. Alan Grant in both the film and novel. In 2001, Jack Horner is mentioned by Dr. Ellie Sattler as she explains to a possible editor or friend that she “won’t lose the Jack Horner quote” in the last chapter of her upcoming book. Horner also had a brief cameo in 2015 as a dinosaur trainer in Owen Grady’s Raptor Training paddock.